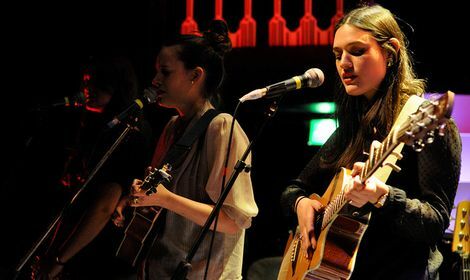 The Staves return to the Kazimier after their winning display with Michael Kiwanuka. Getintothis’ Liam Fay can’t get enough of their sweet, sweet folk. There is something on stage we cannot take our eyes off. Behind the sisters, sitting astride an amp is a framed, black and white photograph of a man’s face. He seems familiar but I’m not sure where from. Peculiarly it turns out to be Frank Spencer of Some Mothers Do Av ‘Em fame (Michael Crawford in real life). He adds an edge of quirky whimsy to an evening laden with songs of love and longing. It hasn’t been long since we last saw The Staves at The Kazimier when they supported the sublime Michael Kiwanuka back in February. Thank God the spellbinding Staveley-Taylor sisters came back to deliver another captivating performance of sweet, sweet folk. The ability to make a crowd fall silent for an extended period of time can go one of two ways. You’ve either bored them to death or you hold them in the palm of your hand, enraptured. It is the latter which The Staves possess. This power was evident tonight as a romantic hush descended. There is a problem with music of this ilk; it can be that everything sounds the same giving you a 45-minute set in which you think only one song was played and even then you’re not too sure what it was. Tonight’s set-list was well engineered to ensure no one succumbed to slumber. Sweet and ethereal was the sound they created. A perfect and relentless three part harmony is meat and drink for the Watford-born Staveley-Taylor sisters. It was on more than one occasion that I found myself lost in the harmonious fog. Stand out track of the evening Mexico was one that I never wanted to end. Followed then by new addition Tongue Behind My Teeth which has a bit more snap and crunch to it. 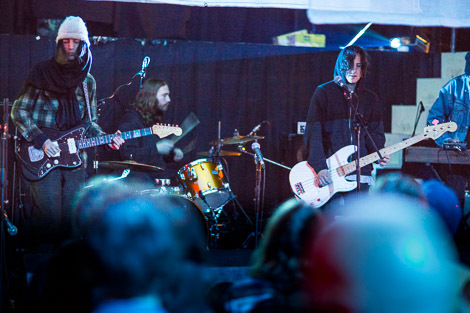 They work well together and should perhaps be a staple and core of every gig. 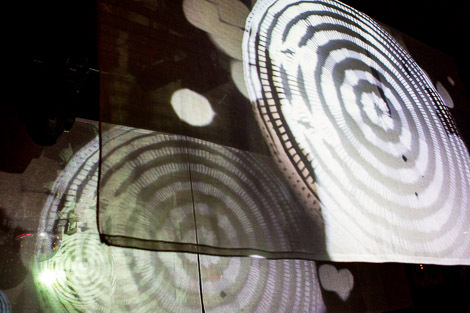 Once the performance had gathered momentum they were already well into their meagre catalogue of material meaning an unwelcome and abrupt end was appearing rapidly over the horizon and we would all have to shuffle outside into the miserable drizzle. While being left wanting more is never a bad thing the one song encore was a rather wishy washy affair compared with the rest of the performance which threatened to undermine what had been a professional yet charismatic and charming performance. First support act, the curiously Dutch/Irish, Christoff came across as a thoroughly decent chap you wouldn’t mind sharing a pint or two with. While his personality came across, his music did little to hold our attention. The only way of describing it would be ‘nice’. Fairly middling. Neither here nor there. Local lads Dead Cities shuffled into view and put me at risk of falling into a coma. Fortunately half way through the pace picked up from an uncomfortable, snail’s crawl and drove a little more. Saddest Star from the band’s recently released debut album This Killer Wave was the highlight from an effort which threatened to get going but never really went anywhere. It is a shame because their album is passionate, at times piercing and foot stompingly good. Picture courtesy of Adam Edwards.